I would like to tell you about the most magical place on earth you can go as an adult. 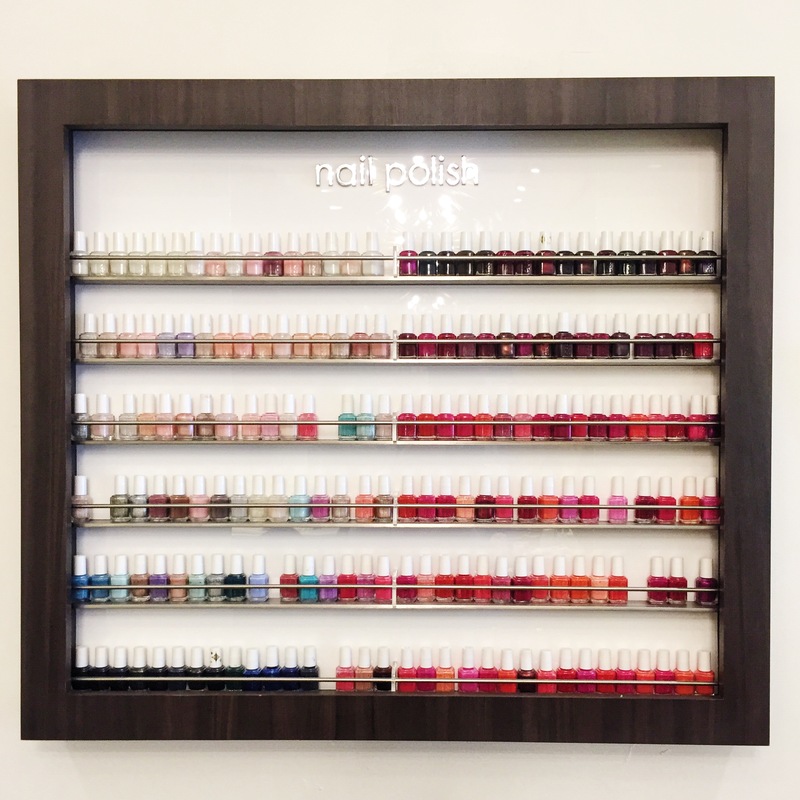 Where the staff is friendly, the beauty products are a plenty, and the services are bliss. Honestly I hadn't even really thought much about this place until recent years. I knew of Elizabeth Arden products as my mother used them growing up, but didn't really know the completely life changing experiences that happen behind that Red Door. I wish I had started my obsession earlier in life. I had my first experience last year when I got the Watermelon Basiltini pedicure. 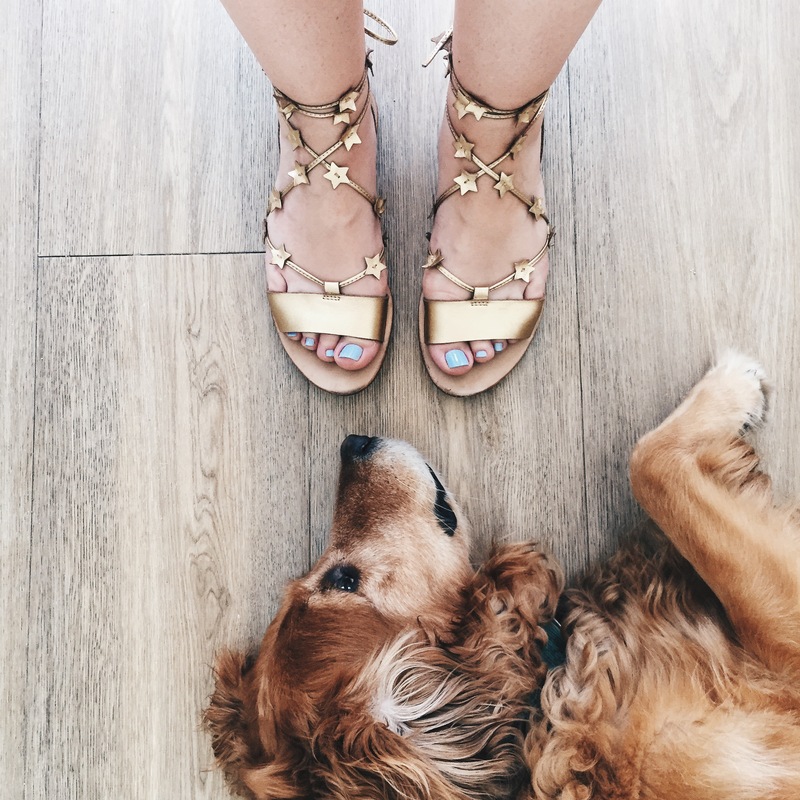 It's worlds beyond the basic pedi service you get around the corner. 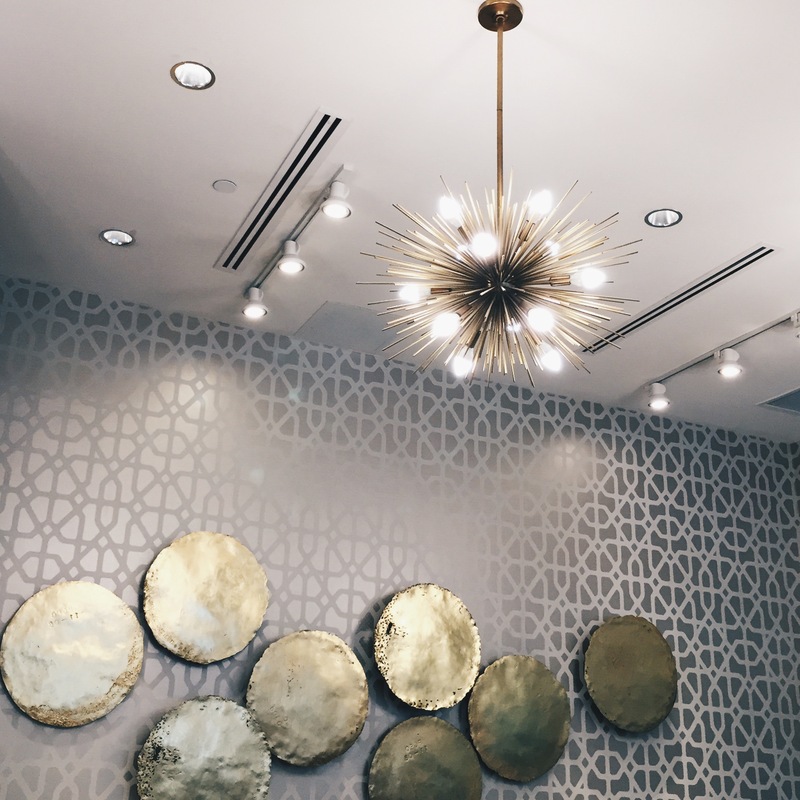 Not only is each location beautiful (pictured above is the outside of the Arlington location, the photo of the inside is of the Reston location), they really make even a pedicure feel like a spa experience. They seat you with a warm neck wrap, tea and cookies at your leisure, and take extra time to really make it an aromatic journey. You could really smell the watermelon and basil vodka infusion in the scrub the whole time which was lovely. I obviously opted to try their Mint-Julep Spritzer pedi that was out this summer (they have treatments that change seasonally) and it also did not disappoint. They have every Essie color your heart could yearn for (pictured) and the scent was also unforgettable. Floral and clean and comforting. My pup approved of my "Bikini So Teeny" blue polish selection and the paraffin treatment at the end really locked in the moisture to my notoriously dry skin. I then went pack to get my first facial. I had never gotten one before so this really set the bar high for any one that will follow. The Pro Facial was insane (in a good way) I literally left with new skin (pictured below), which was awesome for my pre-wedding glow! I really felt like I was at a Dr. appointment as Kelly at the Fairfax corner location was super knowledgeable, I left feeling great and with great tips to take better care of my skin on a really personalized level. Finally I want to talk about the massage, the Red Door Signature Massage, specifically. I went to the Arlington location the day after my honeymoon ended as a nice ease back into the real world. I was even happier that I had this booked as our plane ended up having to turn around, and re-take off adding on hours to our trip and my back pain. Kelly really took care in searching (and destroying) the knots in my upper back and shoulders which was just what I needed. 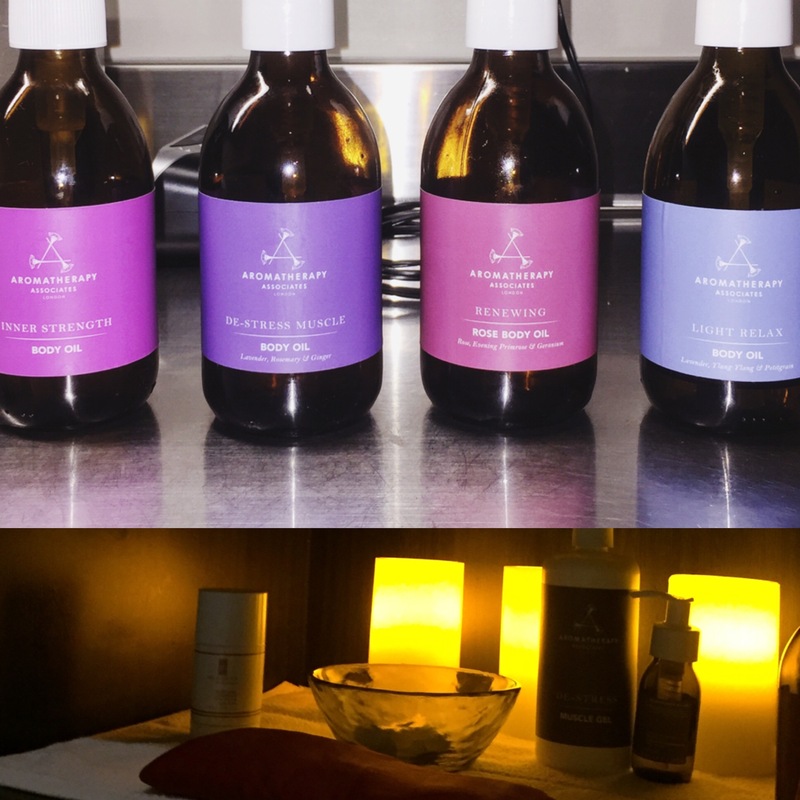 I also opted to add on the aromatherapy treatment - I picked the rose oil which was absolute heaven (I'm really big on scent). You can see all four options below. I left feeling totally renewed and relaxed, ready to jump back into my basic routine. Also, if you are looking for a really luxurious Fall mood lift I also suggest the Brandied Pear Marshmallow Melt body treatment, I tired it last year and it knocked my socks off. 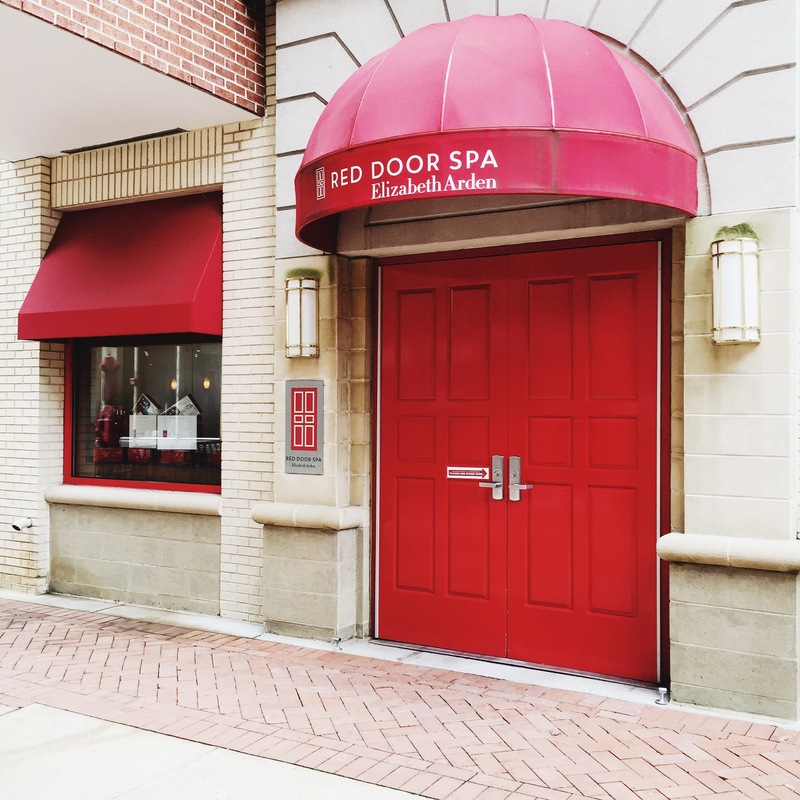 HAPPY BONUS NEWS: From September 1 through October 31, the code: GSFANSEPT14 will get you 50% OFF a Red Door Moor Massage Membership! Book online or call 1.866.RED.DOOR. Offer valid at Fairfax Corner, Reston, Tyson’s Corner & Pentagon Row locations. Please enter offer code during online booking, or call to book and mention offer code. Offer cannot be combined with other offers or discounts. Not valid towards product, gift certificate, gift card, packages, Red Door More Membership or Series purchases. Offer expires October 31, 2016. Code: GSFANSEPT14.